The World Ends With You Crossover -Tribute- is yet another arranged album inspired by the immensely popular music from The World Ends With You (TWEWY). It should be noted that this arranged album was released five years after TWEWY came out on the NDS, a testament to the enduring popularity of the music composed by Takeharu Ishimoto for this game. 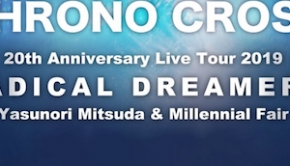 While all pieces from this album are composed by Ishimoto, the arrangements are done by Shohei Tsuchiya, missingsoul, T$UYO$HI, and Novoiski. While most music featured in this album are arrangements of previously released materials, “March On”, “March On -jp-“, and “Revelation -flower-“ are new tracks from the spinoff mobile social game, The World Ends With You -Live Remix-. “March On -jp-“ has the exact same instrumentation as “March On” but features Japanese lyrics sung by a different singer, which is rather unnecessary and redundant. “Revelation -flower-” is another track from Live Remix, and will later be featured on the Death March album in a different arrangement. Both “March On” and “Revelation” are mellow rock songs that would fit nicely in the soundscape of TWEWY, but they are also indistinct among other Ishimoto’s rock compositions. “SOMEDAY – KINGDOM MIX JP Ver. -“, like “March On -jp-“, while features new lyrics in Japanese and a different singer, has an instrumentation identical to its English counterpart included in The World Ends With You -Crossover- album. For those who already own the Crossover album, this will be another superfluous track. Although not that different to the original arrangement, “Jump Over Yourself (papapayapa)” differentiates itself with some dissonant synth, which colours the track with a futuristic vibe. “Owarihajimari – x-tended ver. -“ is yet another track that was arranged very similarly to its original version, but features a female rapper as well as an extended section with new Japanese lyrics, as opposed to the original English lyrics used in the first half of the track. 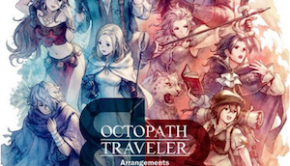 Perhaps the best arrangements on the album are those contributed by two external game composers, Zuntata’s Shohei Tsuchiya and FromSoftware’s Yuji Takenouchi (aka missingsoul). Tsuchiya’s “Make or Break remix for qanchis” is an interesting deviation from the original with a cool jazzy instrumentation. The arrangement begins with a rather laid back vibe but steps up during the chorus as the accompaniment goes into double time. Takenouchi’s “Satisfy – Galaxy Dub -“, as the title suggests, is a remix with a spacious atmosphere. While sharing the same beats as the original, this arrangement utilizes resonant tones and icy piano chords to create an expansive vibe not found in the original. “Twister” is a popular song that has received the highest number of arrangements among all tracks composed by Ishimoto for The World Ends With You. In this album alone, there are three different arrangements and two live performances of “Twister”, which is kind of overkill. First up is “Twister [THE WORLD ENDS WITH YOU – Solo Remix – PV Ver.]”. The distinguishing feature of this version of “Twister” is that it features a male rapper instead of the usual female voice. The rapping is also done in a more energetic way than the mellow J-rap in the other arrangements. 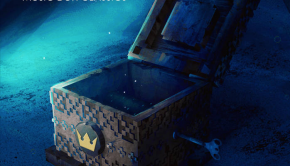 Otherwise the instrumental parts are rather similar to the Kingdom Mix. Secondly and probably the most interesting arrangement of the bunch is “Twister – Novoiski Remix -“. This remix is a significant departure from the original as it inserts a melody into a part that was rapped on two notes in the original. The approach is very refreshing, especially given how similar other arrangements of the song were. The third and last one is “Twister – T$UYO$HI Remix -“. Although this remix is fundamentally similar to the original, it managed to set itself apart with a major tone, in contrast with the minor tone in the original, with a slightly different layer of harmony. T$UYO$HI contributed another remix to this album with “Calling – T$UYO$HI Remix -“. This remix of “Calling” emphasized more on the bassy beats, some onbeat and some syncopated, which drives the entire track. 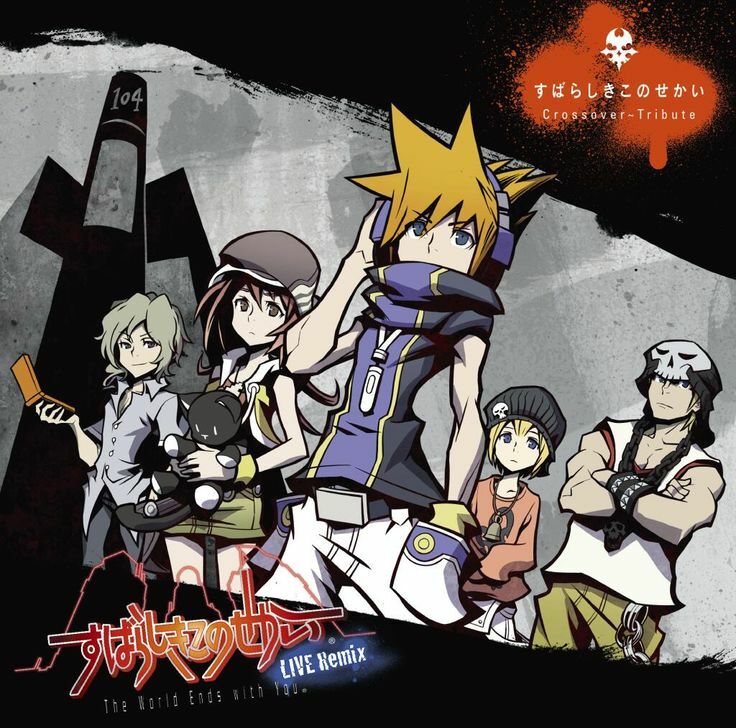 Lastly, the album also includes live recordings of three tracks from TWEWY -Crossover- performed by the band Death March, namely “CALLING – KINGDOM MIX – (Live Ver. )”, “Twister (Live Ver. )”, and “Twister – Crossover – (Live Ver.)”. While these are some competent live performances, they do not deviate much from their studio counterparts and thus adds nothing musically to these two most arranged tracks from TWEWY. They are still nice bonus contents regardless. The World Ends With You Crossover -Tribute- is a mixed bag of repeating materials, some lazy recycled tracks with only new lyrics sung by a different singer and some arrangements that sound very similar to their source tracks, in addition to a few solid remixes. Given the uneven quality of the tracks in the album, it is difficult for me to recommend the album wholeheartedly to most but the ardent The World Ends With You fans who want to complete their collection. Posted on August 8, 2015 by KT Wong. Last modified on August 9, 2015.